Electrical power is primarily generated by three-phase generators. This applies for conventional steam turbine and hydroelectric power stations as well as for power and wind generators. 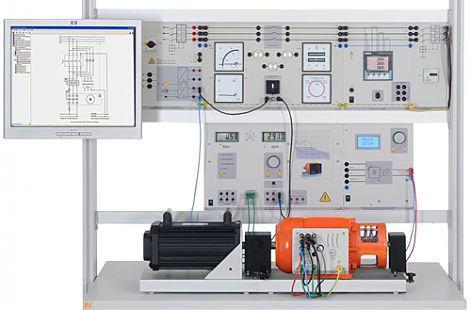 In addition to performing basic experiments on the three-phase synchronous generator, other experiments cover the topic of manually operated synchronising circuits.